Elopement Packages, No Planning Needed! 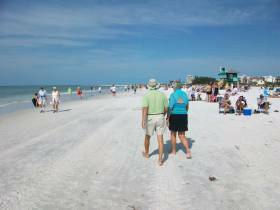 This Sarasota Beach Wedding Guide is here to show off Siesta Beach as a possible beach wedding location in Sarasota for couples looking for their perfect beach wedding venue… Wedding Vow Renewals Too! The idea is that while a Sarasota Destination Wedding is planned, many couples would like to see more beach wedding options. So… We produced 4 short Sarasota beach videos. The other Sarasota beach wedding location videos you may like to see are from Lido beach, Turtle Beach and Crescent Beach. See more info on our Beach Wedding Packages & Wedding Officiant Packages. Note: While these videos are here to help brides-to-be make a decision on their beach wedding location… Tourists and Visitors unfamiliar with Sarasota’s many beaches will also enjoy these short videos and pictures below. 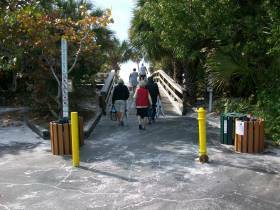 Siesta Beach is a public beach, free for all visitors and opens year round dawn to dusk. 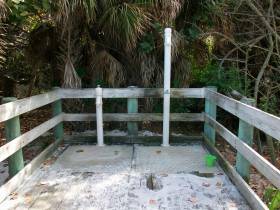 The main beach entry point is located at 948 Beach Road on Siesta Key in Sarasota Florida. Our Siesta beach video and pictures are great for Destination Wedding Brides that haven’t been to Lido beach before. 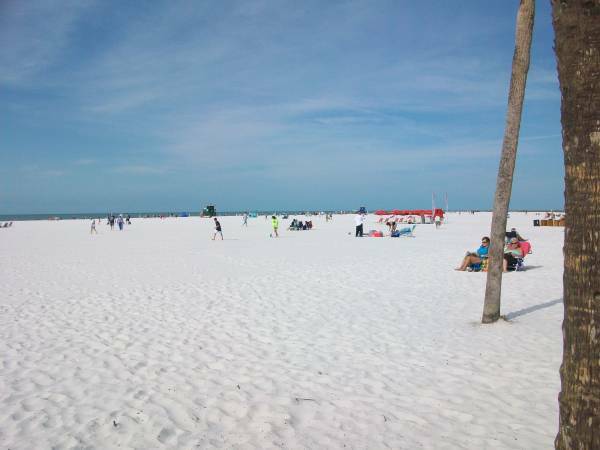 While Sarasota is home to many of the country’s most stunning beaches, Siesta Beach stands alone. Can you feel yourself swimming in the warm gulf waters, snorkeling for treasures, or maybe just enjoying a lazy walk along its crystal white shore? 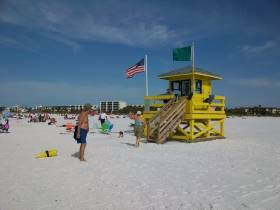 All this and so much more await you in Sarasota Florida. 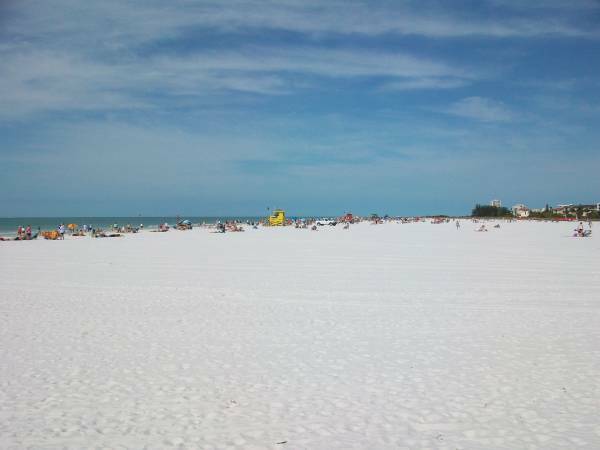 Siesta Beach; Designated on May 28 2011 by “Dr. Beach” as No. 1 beach in the nation. 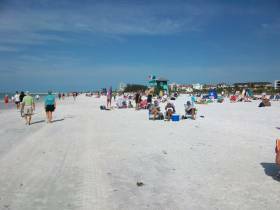 Siesta beach in Sarasota Florida is also one of the most beautiful beaches in the world. 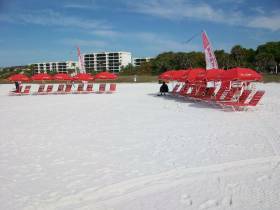 Its fine white sand is 99 percent pure quartz according to Harvard University in Boston Massachusetts. 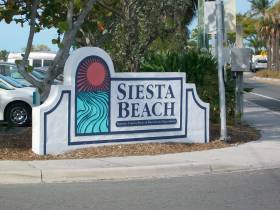 Siesta beach is considered a National Healthy Beach, and has been certified by the Clean Beaches Council as a “Blue Wave” beach. 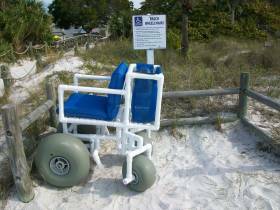 In addition to its shallow water shoreline and year round lifeguards, Siesta Beach has a variety of amenities. 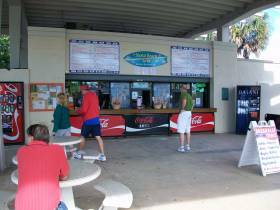 A large covered concession stand, bathrooms in 2 locations, tennis courts and volleyball nets. 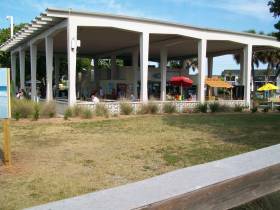 For your grilling pleasure, a large number of pine tree shaded picnic tables and outdoor grills dot the landscape of Siesta Beach. And don’t forget the cool playground that will keep the little ones happy for hours. 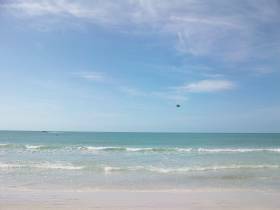 Siesta beach is also #1 beach weddings and vow renewals in Sarasota. Everything that makes Siesta beach the # 1 beach also makes it the most popular beach wedding destination. Brides and grooms arrive from the world over just to be married at world famous Siesta Key beach in Florida. If you would like to have your beach wedding at Siesta beach or one of the many other beautiful Sarasota beach wedding locations, Call us at 941-726-6654 or Email us at SarasotaWeddingPlanners@gmail.com and Put Your Sarasota Beach Wedding Into ACTION. Is Siesta Beach Your Dream Wedding Location? Ice Cream & Beach Toys Too! Back to Sarasota Beach Weddings Home Page.